This is a semi-mount. Center stone is a CZ. 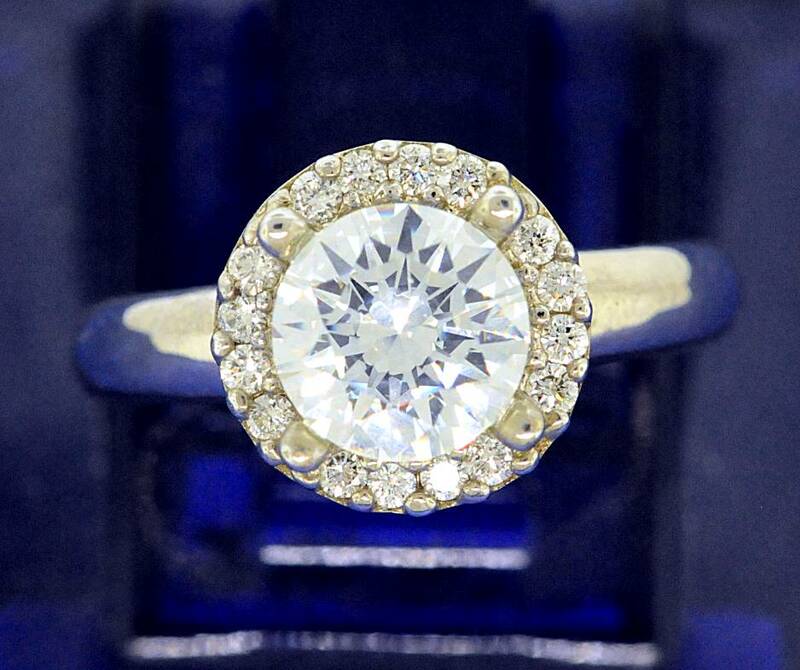 The center stone can be 7.1 to 7.5 mm wide. Shank is a half round 14k white gold.